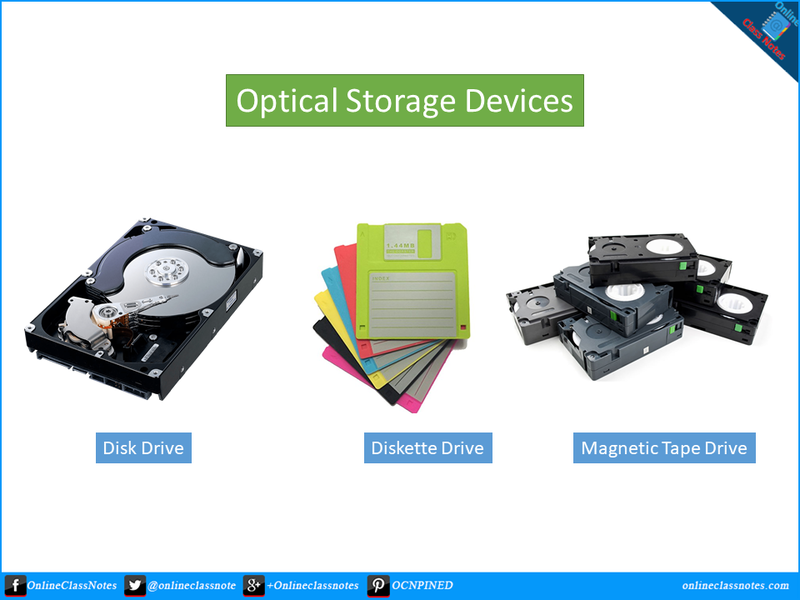 Magnetic storage devices primarily made of disks are Disk Drives. Hard Disk Drive is a Disk Drive. HDD contains one or more disks that runs in a very high speed and coated with magnetizable medium. Each disk in a HDD comes with a READ/WRITE head that reads and write data from and onto the disk. Diskette drives or floppy disks are removable disk drives. The discs in Hard Disk Drives are not meant to be removed, but in case of Floppy disks, the disks are removable from the drive which is called Floppy Disk Drive or FDD. Floppy disks comes with very little storage capacity and meant to be used as portable storage to transfer data from one machine to another. The FDD reads and writes data from and to the floppy disk. The floppy disk itself is covered with plastic and fabric to remove dust. Floppy disk does not contain any read and write head, the FDD contains the head. Magnetic tapes are those reels of tapes which are coated with magnetizable elements to hold and server written on it in one of the many magnetizing data storage pattern. Tape drives come with very high capacity of storage and still in use though personal computers, server etc. uses hard disk drives or other modern type of storage mechanism, tape drives are still in use for archiving hundreds of terabytes of data.